SiteW is an excellent choice for non-tech-savvy users who need to design a secure, fully customizable website without spending a lot of money. SiteW’s easy-to-use design tools enable even the most novice user to create a high-quality custom website. The free Starter package includes up to five webpages and a sitew.us domain (e.g. http://mywebsite.sitew.us). If the user decides to upgrade their site for enhanced features, they can switch to the Premium or Pro package for a low monthly price. 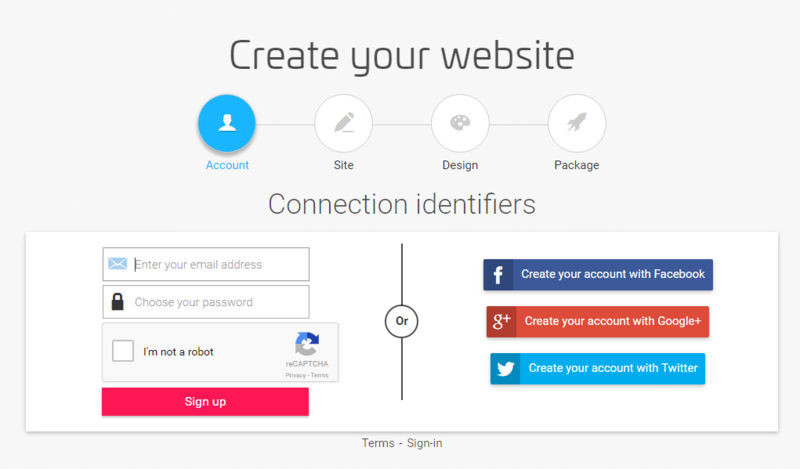 SiteW lets users do more than design stunning websites. With the Premium and Pro packages, a user can access enhanced search engine optimization tools, security encryption, and even ecommerce capabilities. In addition, the upper-level packages include priority technical assistance from SiteW’s experienced staff. Combine the features of SiteW’s upper-level packages with the information-packed tutorials on the website, and users have everything they need to create and manage a high-performance website at a price that’s tough to beat. SiteW lets users test the Pro and Premium packages free for 15 days with no commitment. Just click the “Create Your Website” tab for the desired package, select the “Free Trial” option, and explore the possibilities. Many SiteW users have businesses that need to sell online. SiteW works great for this purpose, but it’s more than a website builder for businesses. The site also offers tutorials for creating sites that may or may not have an ecommerce presence, such as music websites, nonprofit sites, websites for personal presentations, video sites, and more. Two words encompass what SiteW offers: flexibility and security. Users have everything necessary to create a custom website that looks great and is easy to navigate. Plus, SiteW freely hosts user sites on a server protected by Secure Sockets Layer (SSL) technology that encrypts data as it travels from a user’s browser to the server that houses the site. 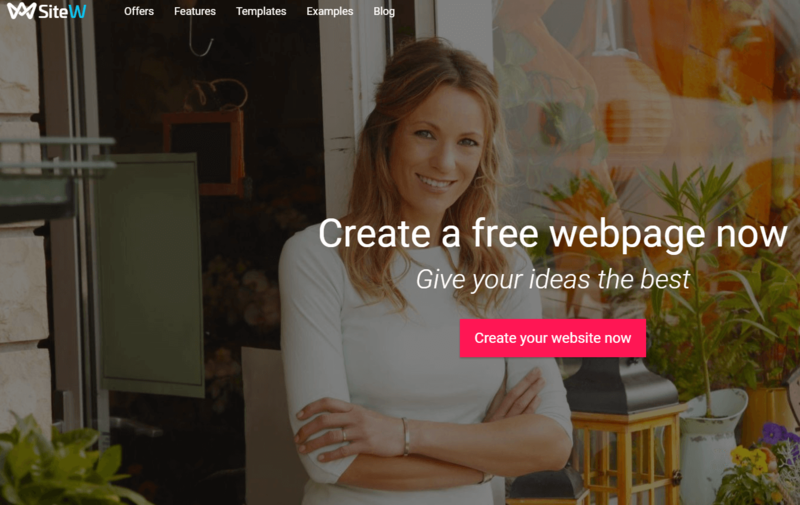 SiteW offers 20 beautifully designed website templates that users can choose from. The selection is pretty limited compared to other leading website builders, but the few templates that are available all look fantastic. Most of them are heavy on images and light on text, which is good because many web surfers will spend less than three seconds scanning a home page for information. If they don’t find what they’re looking for in that time, they’ll leave the site and search elsewhere. The templates illustrate SiteW’s dedication to clean, modern website design. But prospective users should know that the number of webpages they can create varies by service package. Five pages is the limit for the Starter package. The Premium and Pro packages offer unlimited pages. The “Guides” section, hidden away at the bottom of each page, offers professional guides for customizing the templates. Users can also find some of the same guides on SiteW’s blog. 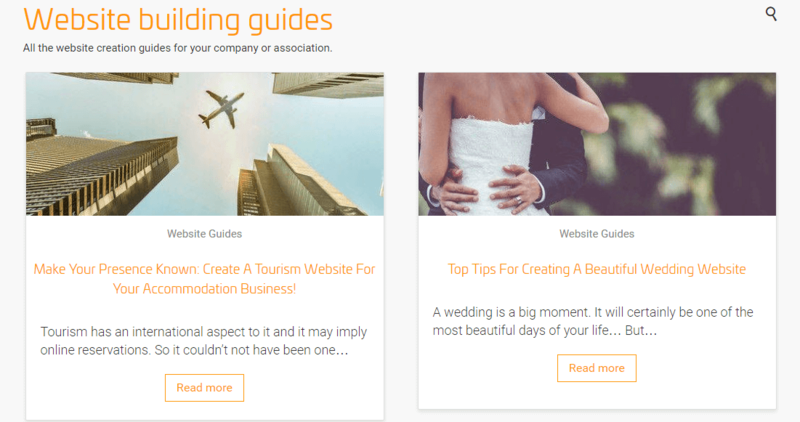 Referring to the refined tips in the guides is a sensible option after the initial website design is complete. 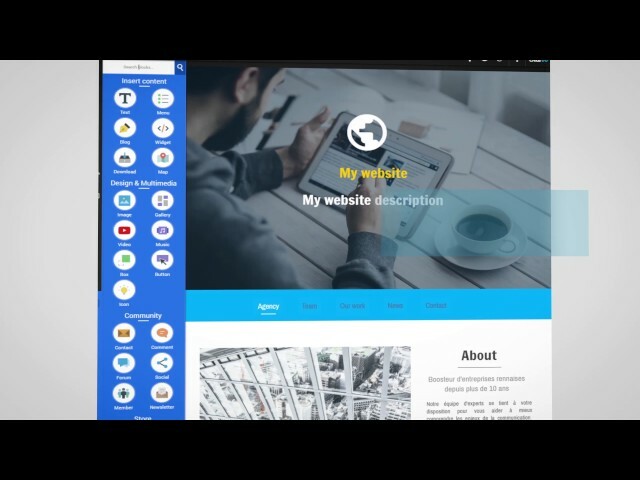 SiteW offers excellent prices for a French website builder. The table below shows the affordable rates for creating a website with SiteW. As previously noted, the Starter plan includes five webpages and a SiteW domain. It also includes up to 500MB of storage. By contrast, the Premium plan includes unlimited pages and up to 3GB of storage. It also includes a secure HTTPS domain and the company’s full range of SEO and analytics tools. The Pro plan includes 20GB of storage, three secure domains, and ecommerce tools for online stores. Signing up for SiteW is easy. For instance, if a user wants to get warmed up with the Starter package, there are three steps: Enter an email and password, select a website design template, and return to the “Choose Your Package” page to select a plan. After that, the website template is ready to be customized and optimized with personal touches. Designing a website is as easy as dragging and dropping design elements onto desired locations on the website template. The left column of the page includes all of the essential web builder elements, including “Text,” “Image,” Video,” “Gallery,” and more. If a user wants to add an image beneath the main title of the page, they can simply click the “Image” button and drag it to the appropriate spot at the top of the page. They can then select a desired image using the menu that appears. Each template even includes a sample layout that can be customized according to the user’s needs. The user need only double-click on any image or text section to replace it with their own information or element. One feature that sets SiteW apart is its multi-language support. Since the site caters to French users, most pages default to French. However, a user can easily switch the language to English, German, or Spanish by clicking the Language button that appears in the upper-right corner of most pages. SiteW’s user-friendly design tools — including CSS customizations, graphic elements, background images, strips, and design effects for website customization — are its most outstanding feature set. Tools are separated into three tabs (Pages, Content, and Design), making it easy to concentrate on one element at a time and observe how changes to one element can affect another. Pop-up information windows continually guide users as the mouse hovers over tool options. Once the bones of the website are fleshed out with an eye-catching design, it’s time to go behind the scenes. SEO tools (compatible with Google Analytics) help the site to rank high in search results, and responsive design tools allow the site to look and function well on mobile devices, which can also improve rank. Other helpful features include website statistics and social media integration. Premium and Pro users receive an email account to accompany their custom domain, and Pro users can access a full array of ecommerce features, including the ability to accept credit card payments, customizable shipping options, and easy order tracking. Finally, SiteW offers frequent software updates to all users to prevent security loopholes. SiteW doesn’t list a phone number on their business website. However, they offer phone-based help sessions for members who schedule an appointment in advance. For day-to-day contact, the company prefers email, offering support through a contact form accessible from the “Contact Us” page. Responses typically come within 48 hours. Premium users can expect an answer in under 4 hours when inquiring during the company’s regular business hours (Monday to Friday, 8 a.m. to 6 p.m., Central European Time). With the Pro package, users can expect an answer in less than 24 hours no matter what day of the week they reach out. There’s currently no Live Chat function, but it would make a nice addition. What about support for designing and optimizing a website? SiteW scores a perfect 10 in this area, offering three sections packed with professional advice that entry-level users can grasp: the on-site blog, the “FAQ,” and the “Guides” section at the bottom of each page. Make note of these sections before dragging and dropping the first graphic. They’ll come in handy down the line. Overall, SiteW offers acceptable customer support. It just doesn’t move at the speed of the internet. 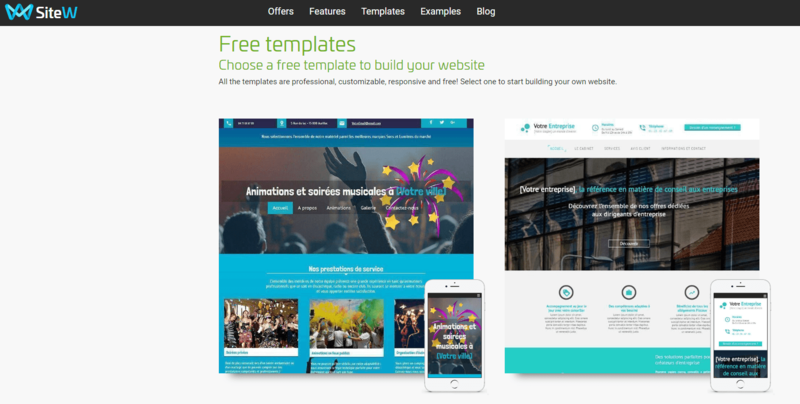 SiteW is as an affordable, easy-to-use French website builder that caters to the everyday user. When it comes to the site’s features and capabilities, users couldn’t ask for more. It provides one of the most affordable means of achieving drag-and-drop design, premium-level security, robust web hosting, and an overall stylish presentation. 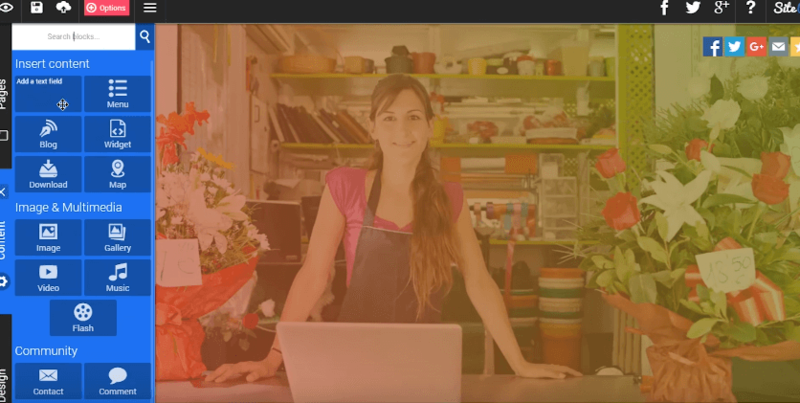 Many use SiteW to create an online store, but designing retail websites is just the beginning. SiteW also offers professional tips for creating wedding websites, nonprofit sites, music websites, video websites, photo websites, and more. In short, SiteW strives to be an all-inclusive source for DIY custom website design, and it succeeds. Do you need a website for your business, music, blog, or something more? Try SiteW today for free, and start exploring the possibilities. Established in 2007, SiteW is a website platform that helps users create and optimize custom websites on their own. Presentable in four languages (French, English, Spanish, and German), SiteW provides a full set of tools for creating and optimizing a website, helpful tutorials for accomplishing these goals, secure website hosting, and ongoing customer support. SiteW is ideal for inexperienced website designers looking for an economical, a secure, and a comprehensive platform for site building. As of March 2017, SiteW has a customer approval rating of “Great” (8.8 out of 10) on Trustpilot.com.